Updated: Surely but slowly, Intel (s intc) is coming to the realization that cloud, not PC, is where computing’s future lies. And perhaps there is no better testament to this move than the most recent acquisition of an Ethernet silicon company. As data centers become increasingly important hubs of computing, companies from an earlier era — from Verizon (s vz) to Intel — are making bold moves into the data center. Intel’s moves here come amid a shift in the way applications think about architecting their services. 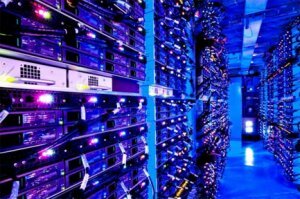 Where once a server was an individual computer that ran applications, for cloud computing and large web scale applications such as Facebook, Google (s goog) or Twitter, they are now components in a much larger system. Google first outlined this shift, but Facebook recently has built upon it with its Open Compute project that basically rethought the way the social network built its hardware and deployed it in a data center and then opened up that design for input and adaptations. Open Compute left Intel’s (and AMD’s) (s amd) chip business alone, while putting the margins of systems purveyors such as HP (S hpq) and Dell (s dell) at risk. However, as other silicon companies such as ARM, (s armh) Tilera advance, Intel must rethink its value proposition beyond the x86 CPU, much like its customers Dell and HP are now rethinking their value proposition beyond making servers. It’s also looking ahead to the changes that virtualization has wrought in the networking world, where efforts to separate the software that controls where packets go from the switches do the physical routing. This shift is occurring in part because as the data center become a computer, it needs a new way to communicate between nodes (servers). Thus, the rise of fabrics inside next generation servers and inside the data center. And so back to Intel, which has seen this happening and wants to make sure it has the ability to provide the computing and networking brains inside the new version of the data center. For Intel, the acquisition of Fulcrum enables it to own one more component inside a rapidly commoditizing — but rapidly growing — market. So perhaps we’ll see Intel design a single system on a chip that offers what essentially is a data center on a chip.